"The big question was whether we should test our kids"
When Jon and his wife ordered an at-home DNA test, they were excited to learn more about their genetic makeup. However, what they weren't prepared for was to receive information about Jon's genetic cancer risk that would have implications for the whole family. "We decided to do the DNA test*, not to learn about our health, but to discover our ancestry. My wife’s dad didn’t bring her up and so she was keen to find out more about his background and roots. I thought I might as well get mine done at the same time and we opted to tick the medical screening box too. The hypochondriac in me was slightly paranoid that my forgetfulness – probably down to tiredness and work stress – might be the beginnings of something a little more sinister. We ordered the kits, spat into the plastic container and sent off the samples and within six weeks or so the results were in. Disappointingly, there was not that much interesting to report. At least initially. I came from an exceptionally narrow gene pool – being 99.8% Ashkenazi Jewish – and have a higher than average risk of suffering from macular degeneration, (a common eye condition), as I aged. My wife was of solidly British / Irish stock – and most irritatingly for her, the test revealed a genetic propensity to weigh slightly above average. Nothing much to write home about really. A month later I had just finished putting our two children to bed when I received a notification that my profile had been updated. I logged into my account, ticked a few disclaimers that I didn’t pay much attention to and found out that I had the BRCA1 mutation. Not understanding what this meant, I did what any good hypochondriac would do and turned to Dr Google. It turned out to be a long and scary evening of browsing. It appeared that my narrow gene pool had conspired against me. Whilst having the BRCA1 mutation is very rare in the general population, affecting around one in every 400 to one in every 800 people, amongst Ashkenazi Jews the chance of carrying it is one in 40. The internet could not agree on the impact this would have on my health; some studies suggested my chance of getting various cancers was greatly increased, others that the risk was more marginal (learn more about risk here). But what was clear was how it would affect my daughter. If she was unlucky enough to have been passed on the mutation, which was a 50/50 chance, she would have an up to 85% chance of developing breast cancer, and even more worryingly, due to the absence of effective screening, up to 60% chance of developing ovarian cancer. This was a lot of information to absorb on a Tuesday evening. For the first couple of days my wife and I, who I immediately shared it with, felt a little overwhelmed and unsure how to deal with what we had learned. The big question was whether we should test our kids, in particular our daughter, who is currently eight. While the NHS does not offer this for children, the genetic screening company did. It was a very difficult decision and I appreciate many people might disagree with the final choice we made. "I can now take considered steps to protect myself and my family – an opportunity that would not have been available to me even a decade ago"
On one hand, we knew that even if she tested positive for the mutation her risk would be low for a good 20 years or so. And by that time medicine may have advanced to the extent that screening would be much more effective and any preventive surgery less intrusive. However, if we knew that she had the mutation, we could come to terms with it first, learn about how it might affect her, so that when the time came when she wanted to know, we would be able to give her all the support and advice available. So, we decided to have both our kids tested. While careful not to scare them, we wanted to be as open as possible about the test. We let them know that they could learn a little bit about their ancestry – what mix of mum and dad they were and also learn about some traits, and we also shared with them the results of our tests, and that my results meant I might need to have more check-ups at the doctor to keep me fit and healthy. It was something they were keen to do and excited to find out about. I received notification of their results six weeks later when walking home from work. I quickly scrolled down to the health screening section. I had indeed passed on the BRCA1 mutation to my daughter, while my son did not have it. After the initial shock, I went through a tumult of emotions – guilt, for having passed on the mutation; anger for the unfairness that she should be so affected; but largely sorrow, that my beautiful happy-go-lucky daughter would need to make such difficult choices as a young adult and potentially undergo serious surgeries. In the months since we have found out, I have been enrolled in a BRCA clinic at my local hospital, where I am able to talk about my daughter’s situation as well as my own. Through this and talking to a mixture of friends, professionals and the great support at Ovarian Cancer Action, my wife and I have learned enough to put the result into perspective and to plan how we will use the information positively going forward. We have decided not to tell our daughter anything now. She is very young and would not be able to do anything useful with the information at present and we wouldn’t want to scare her unnecessarily. However, we will use the next years, both through talking about my results and general chat, to normalise the conversation around cancer and risk. When she is old enough we can calmly let her know about her results and the choices that she has – at a time that is right for her. Whilst the news that my daughter and I carry the mutation was certainly unexpected, shocking and for a time very upsetting, after a few months I feel very lucky to have this knowledge. With the advice and support I have taken, it has meant that I can now take considered steps to protect myself and my family – an opportunity that would not have been available to me even a decade ago. 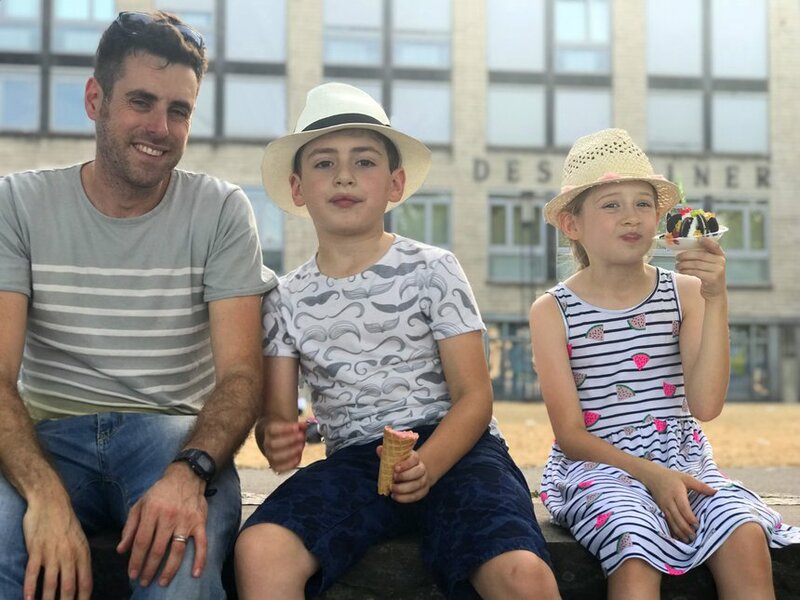 Far from living in fear about a potential diagnosis around the corner, my wife and I now feel empowered to face whatever the future brings and to get on with living and enjoying our lives in the meantime." *It's important to note that home DNA testing kits such as 23andme do not account for all genetic variants that can cause a higher risk of cancer and most BRCA mutations that increase an individual’s cancer risk are not detected. Furthermore, this test is not a substitute for screening or visits to a healthcare professional and all results should be confirmed in a clinical setting before taking any medical action. Our Hereditary Cancer Risk Tool will assess your risk of having inherited a genetic mutation that could increase your risk of developing certain cancers and whether you are eligible for testing on the NHS. It's suitable for both men and women. "My story proves how important it is to have an understanding of your family history"
Jess, 24, discovered she was BRCA2+ after her father was contacted by a relative who had tested positive. She describes the ups-and-downs of the past year, and why she now feels empowered by knowing her genetic status. Navigating the world of genetic testing can be very confusing and scary at times. Jo Stanford, our Cancer Prevention Officer, addresses some of the common myths surrounding BRCA testing.